This was the first post-war Retinette, and was manufactured from 1948 to 1951. 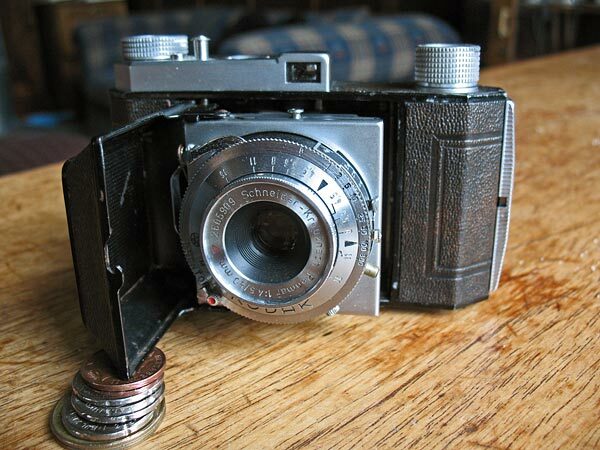 It was fitted with a Schneider Reomar 50mm f/4.5 lens in a Prontor-S shutter. 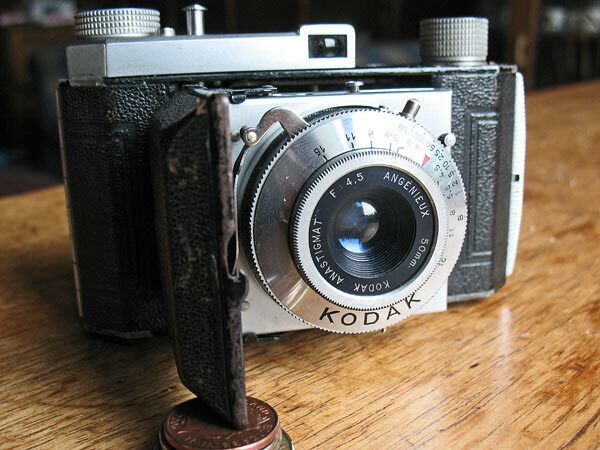 A special version made for the French market was also available with a f/4.5 Angenieux lens fitted in a Kodak shutter. 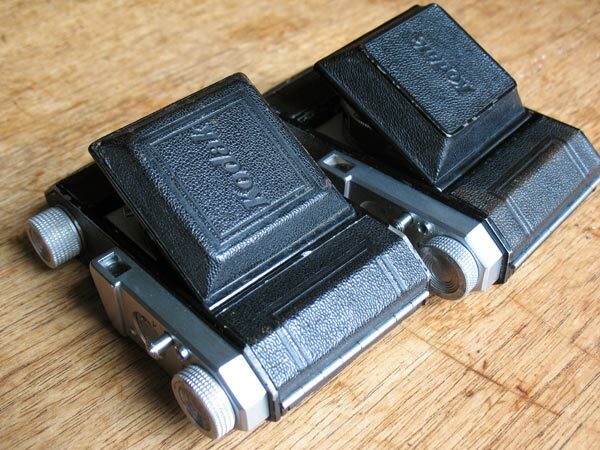 The two cameras also had slightly different front 'doors', as you can see here. The French market version is on the left in this photo.